Food glorious food, if it wasn’t a reason for coming to Samui it will be a reason to return. Here you'll find the freshest seafood, meats and organic fresh produce, prepared by some of the best chefs lured to the culinary arts. 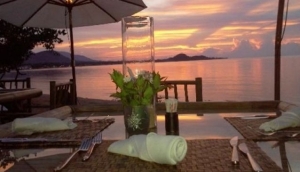 There are fantastic restaurants all over Samui. From the finest dinning to roadside eateries, with every theme you can imagine. Here we’ve compiled a list to help find the one you’re looking for.